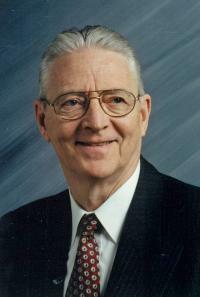 With much sadness we announce the passing of Harold Kenneth Richard Shutt on January 15, 2013, after a brief illness. Ken was born in Edmonton on April 22, 1939 to Harold and Dorothea Shutt. He graduated from the University of Alberta, receiving his MD in 1963 and became a Fellow of the Canadian College of Physicians and Surgeons in 1968. In 1970 he became a Fellow of the American Academy of Ophthalmologists and was made a life member of the Canadian College of Physicians and Surgeons in 2009. Ken felt proud and privileged to look after his patients, and particularly enjoyed teaching. Over the years, he always mentioned that he learned as much from his students as they learned from him. Ken leaves to mourn his beloved wife of 49 years, Anne; children, Craig (Helen) Shutt, Tammy (Martin) Brown, and Theresa (Stephen) Frank; eight grandchildren, Andrew, Kimberly, Alice, Alex, Emily, Tyler, Ryan, and Grayson; his sister Marion Hanelt; as well as his extended family and many friends. He was predeceased by his parents, Dorothea and Harold Shutt. A heartfelt thank you to the ICU staff at the Grey Nuns Hospital for their care and compassion. A Celebration of Ken’s life will be held at 1:00 p.m. on Wednesday, January 23, 2013 at St. John the Evangelist Anglican Church, 11111 - 57 Avenue, Edmonton. A Reception will immediately follow at the Faculty Club, 11435 Saskatchewan Drive, Edmonton. Prior to the Celebration a Family Graveside Service will take place. In lieu of flowers, donations may be made to the CNIB or a charity of your choice.